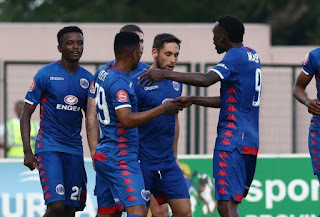 Dean Furman has Penned a contract for another season with SuperSport United, confirmed his agent. The midfielder's contract was due to expire at the end of the current campaign but he will now still be branded in a blue and white kit next season as well. His agent, Glyn Binkin, told Soccer Laduma: "Yes, it's true. "Dean is very happy at SuperSport and is delighted to have extended his stay there for one more year." During his time at the Tshwane based outfit, Furman help them to bag three trophies, which is 2× Nedbank Cups and 1 for MTN8.